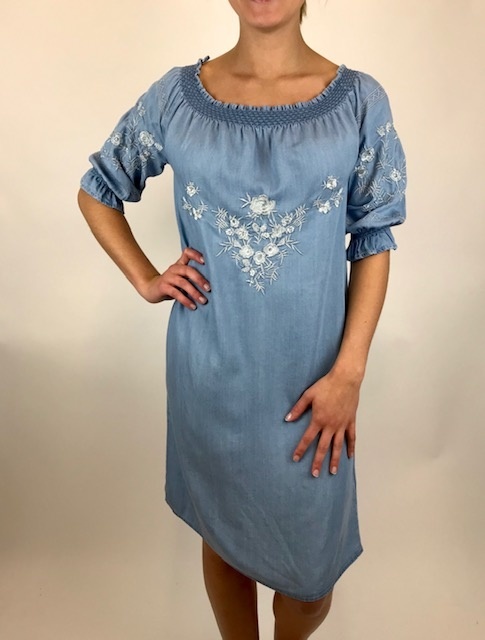 A soft tencel dress with a beautiful light blue embroidery throughout. 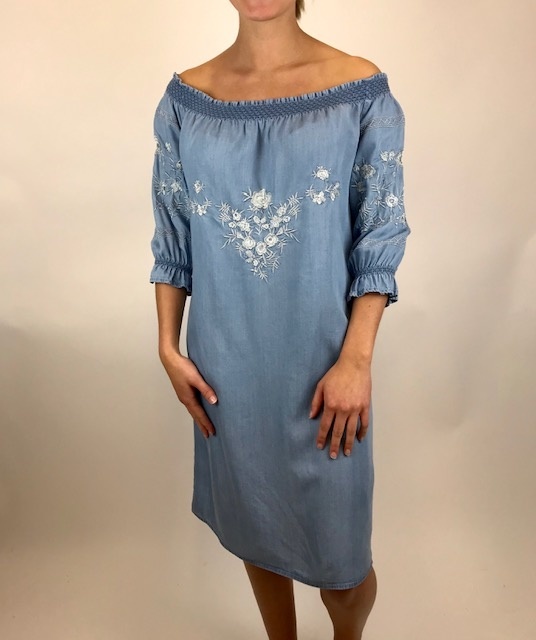 This piece has a slightly loose body and a ruched neckline that can be worn up or off the shoulder. 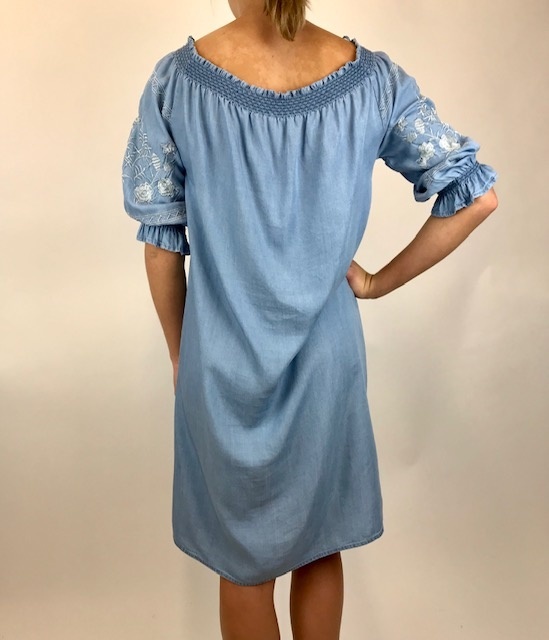 Add a sandal to complete the look.